Größe der PNG-Vorschau dieser SVG-Datei: 800 × 569 Pixel. Weitere Auflösungen: 320 × 228 Pixel | 640 × 455 Pixel | 1.024 × 728 Pixel | 1.280 × 910 Pixel | 962 × 684 Pixel. The domains of the Golden Horde in the year 1389, before the Tokhtamysh-Timur war. The rivers are shown in blue, the 2006 international borders in light brown, and important cities of 1389 with a black circle. The capital of the Golden Horde, Sarai is shown with a gold star. Kiev, Moscow, Novgorod and Vilnius are shown as circles. This map uses a Lambert azimuthal equal-area projection. Urheber Die Autorenschaft wurde nicht in einer maschinell lesbaren Form angegeben. Es wird MapMaster als Autor angenommen (basierend auf den Rechteinhaber-Angaben). Project "Geosynchrony: Atlas of World History", western borders: Nikolaev V.V. (2007) East Europe in the second half of the XIV century; eastern borders: Nikolaev V.V. (2003) Timur's state in 1370-1405. Morgan, David (1986) The Mongols, Butler & Tanner, Frome, Somerset. This map from Shepherd, William (1911) Historical Atlas, Henry Holt and Company, New York. plus a review of the w:en:Tatar Encyclopedia. 16:44, 29. Jun. 2011 962 × 684 (148 KB) Любослов Езыкин Chose a wrong file, sorry. 16:42, 29. Jun. 2011 962 × 684 (148 KB) Любослов Езыкин The borders were totally fake and arbitrary. Fixed the borders of the Horde. Removed the senseless territory with the fake borders pretended to be the Moscow Principality. Add Vilnius. 20:58, 23. Jan. 2007 962 × 684 (149 KB) MapMaster Moved western border to the w:en:Sura River. 02:05, 5. Dez. 2006 962 × 684 (149 KB) MapMaster First version was truncated due to file settings. Re-upload, s'il vous plait. 02:01, 5. Dez. 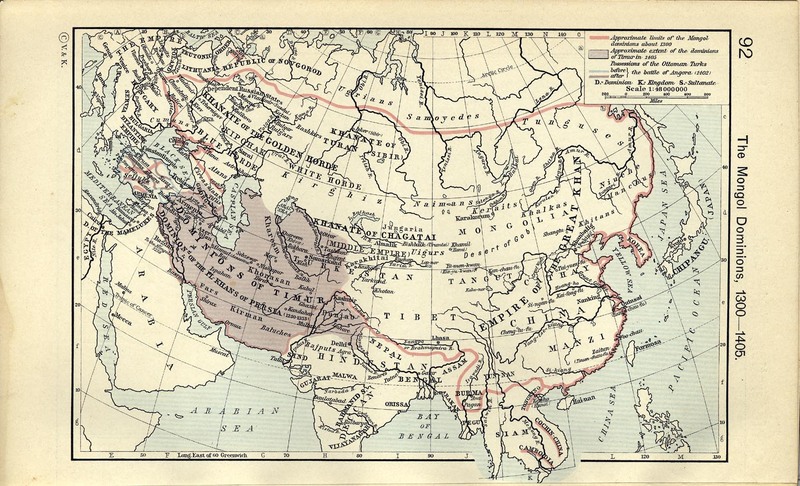 2006 512 × 346 (148 KB) MapMaster The domains of the Golden Horde in the year 1389, before the Tokhtamysh-Timur war.